Smallwood’s story is animated by deep research and gives us a startlingly graphic experience of the slave trade from the vantage point of the slaves themselves. 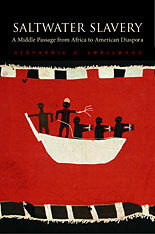 Ultimately, Saltwater Slavery details how African people were transformed into Atlantic commodities in the process. She begins her narrative on the shores of seventeenth-century Africa, tracing how the trade in human bodies came to define the life of the Gold Coast. 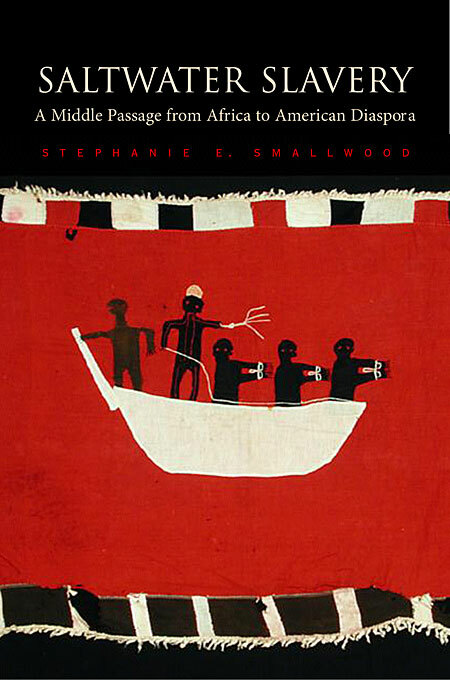 Smallwood takes us into the ports and stone fortresses where African captives were held and prepared, and then through the Middle Passage itself. In extraordinary detail, we witness these men and women cramped in the holds of ships, gasping for air, and trying to make sense of an unfamiliar sea and an unimaginable destination. Arriving in America, we see how these new migrants enter the market for laboring bodies, and struggle to reconstruct their social identities in the New World. Throughout, Smallwood examines how the people at the center of her story—merchant capitalists, sailors, and slaves—made sense of the bloody process in which they were joined. The result is both a remarkable transatlantic view of the culture of enslavement, and a painful, intimate vision of the bloody, daily business of the slave trade.